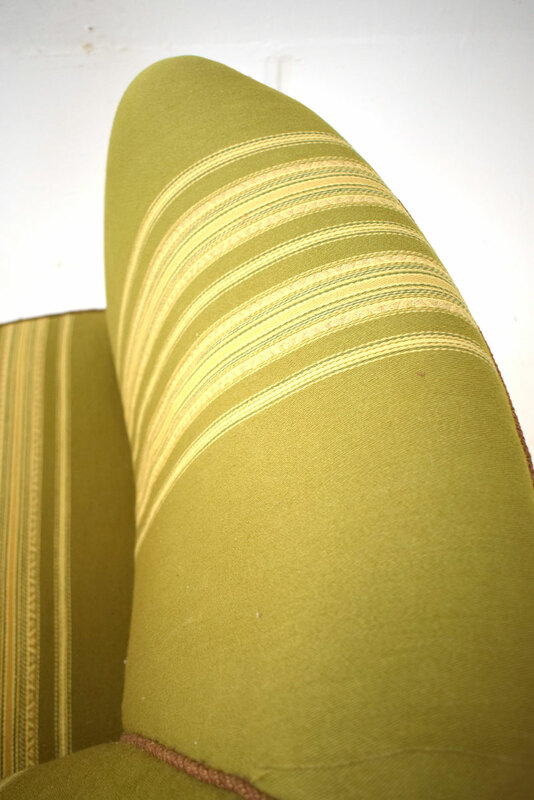 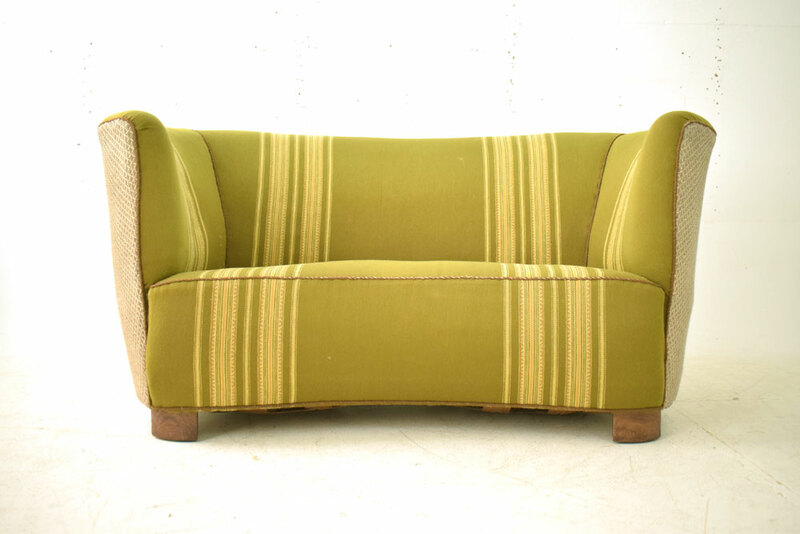 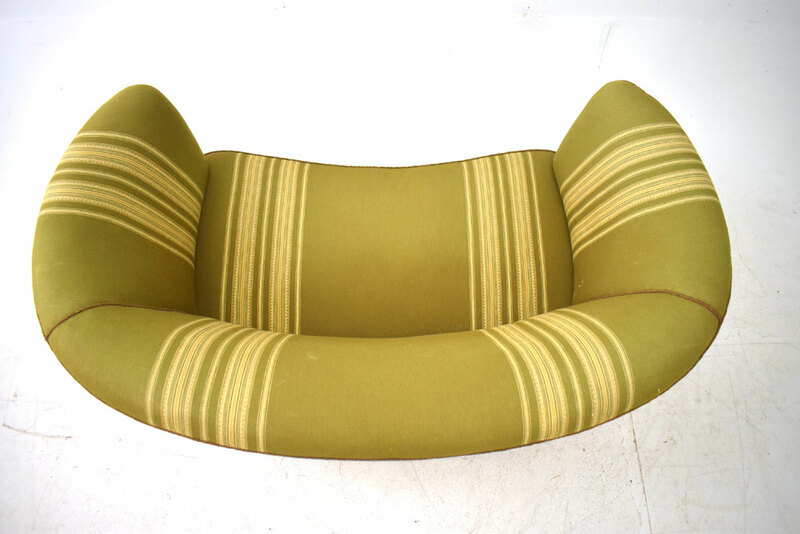 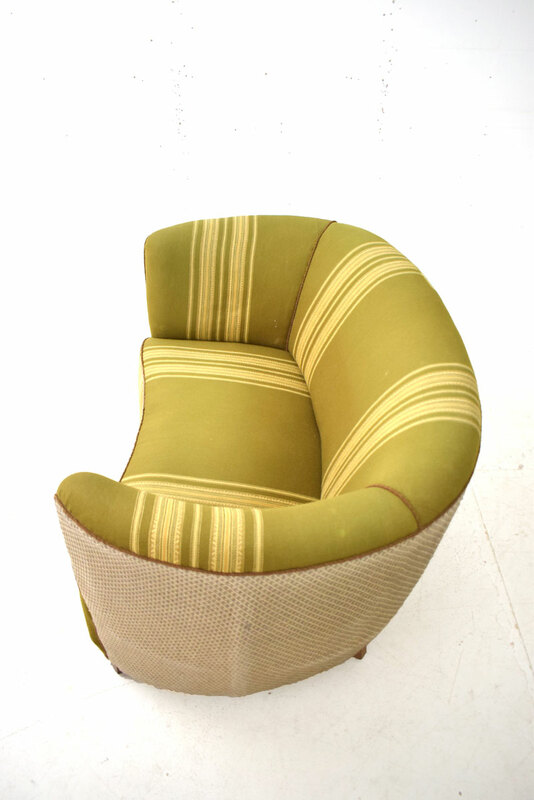 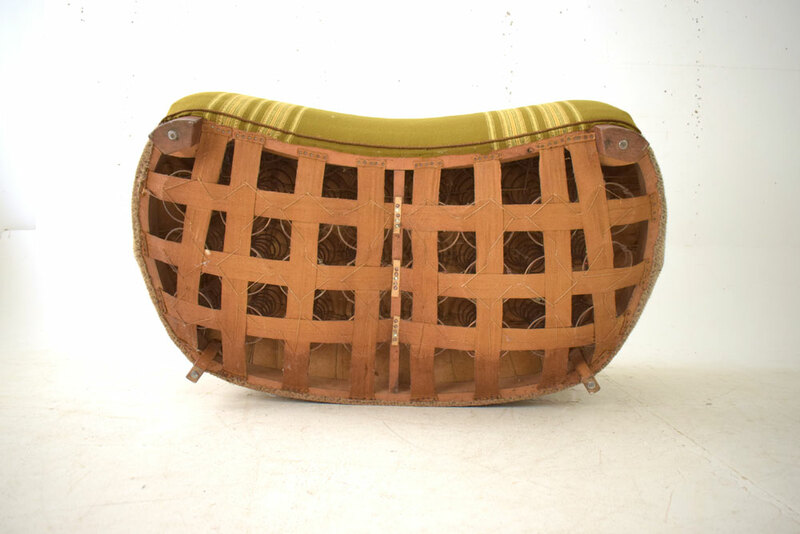 Vintage 2 seat Danish design sofa with striped green & beige fabric upholstery. 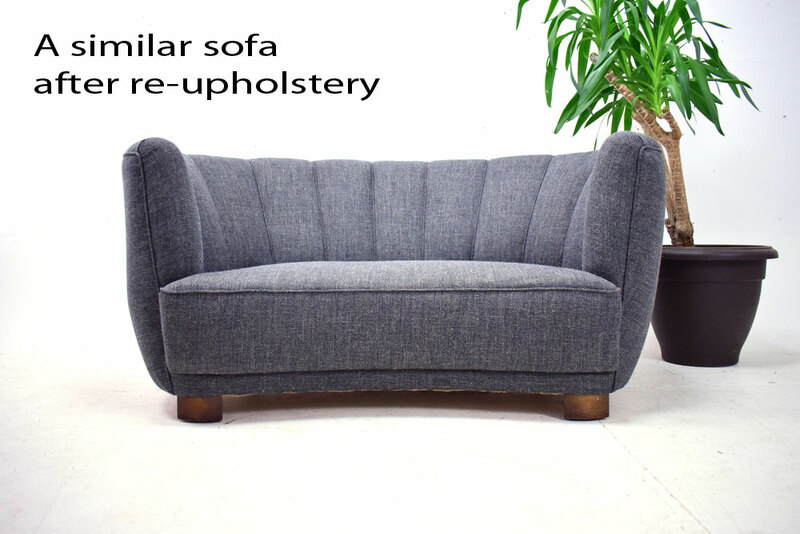 The sofa stands firmly on wooden legs and while the sofa does not dismantle, its small size makes it easy to transport. 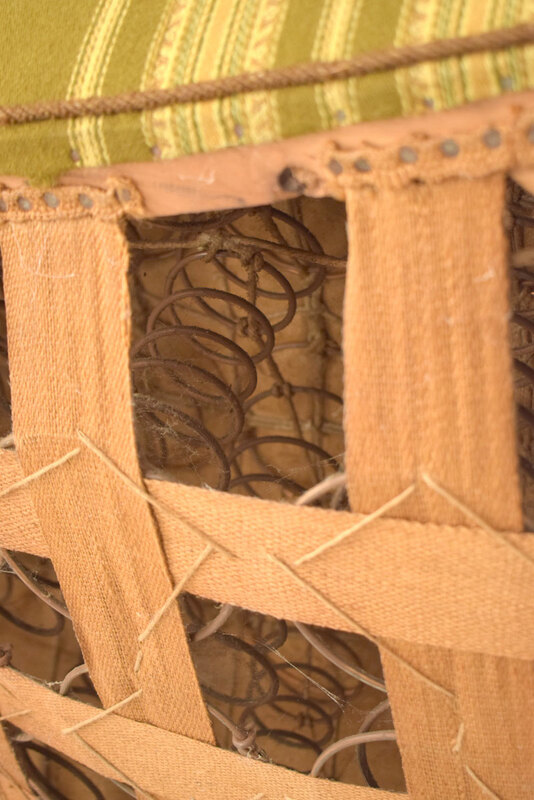 Condition: Good strong frame and webbing. 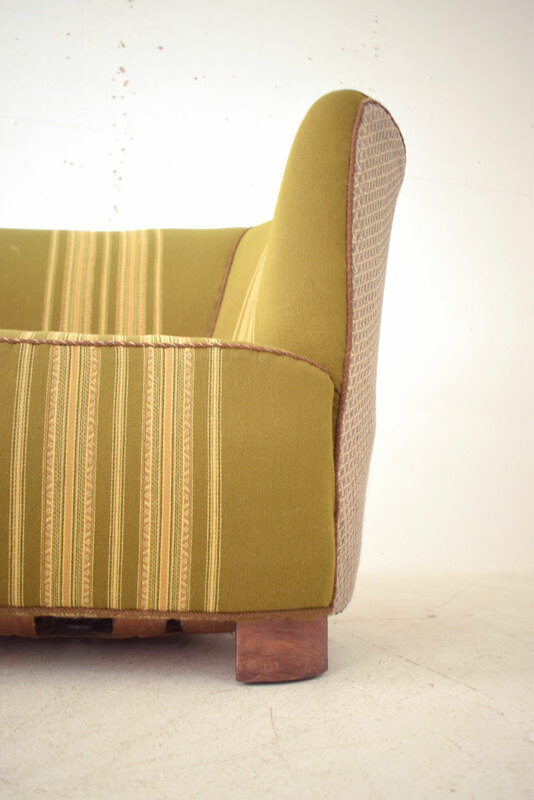 Fabric with signs of age & use. 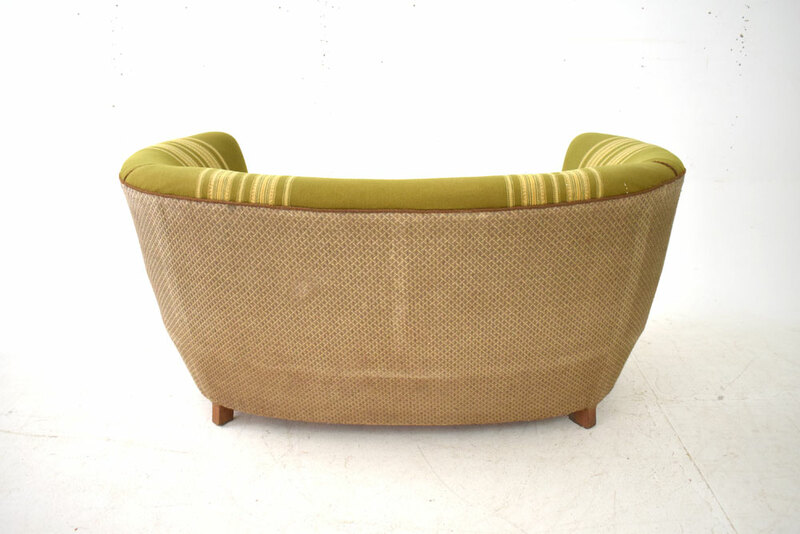 Can be re-upholstered in new fabric for an additional cost. 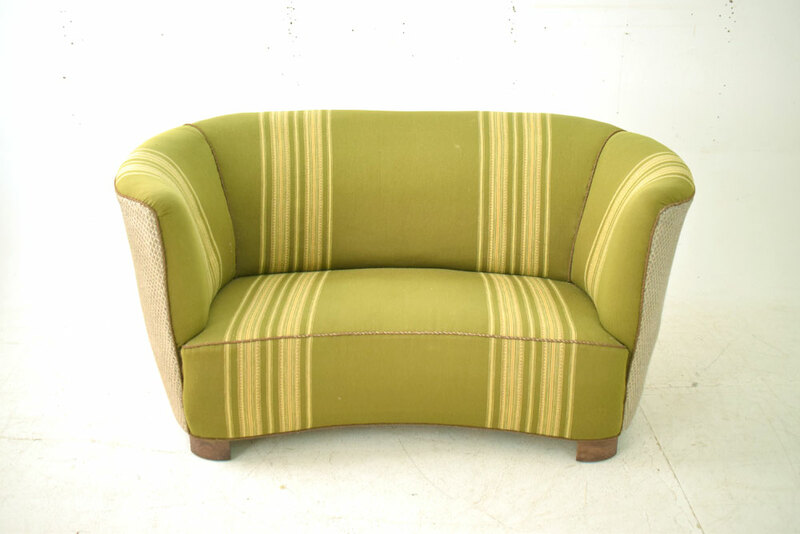 See image of a similar kidney sofa recently re-upholstered for customer by Tom.